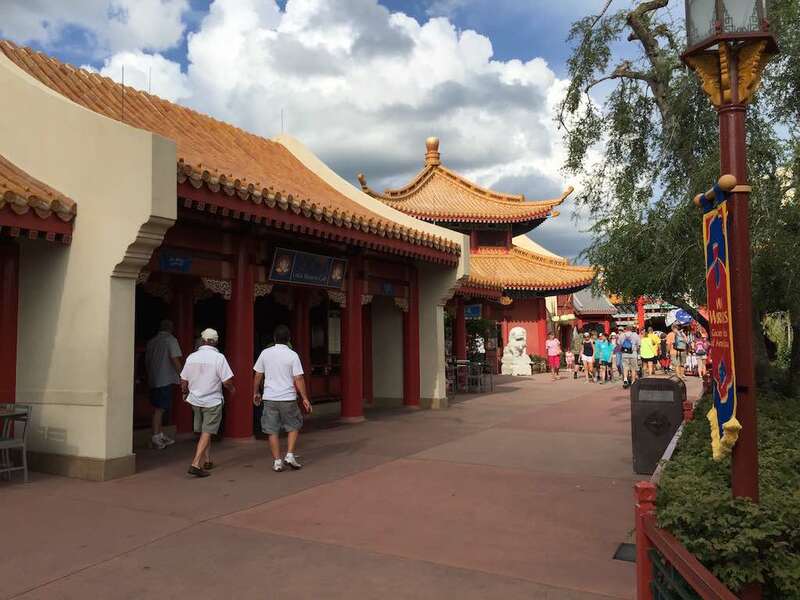 As we continue our clockwise visit around World Showcase at Epcot, we have now passed by the Mexico pavilion and the Frozen pavilion Norway pavilion, so our next stop is the China Pavilion. 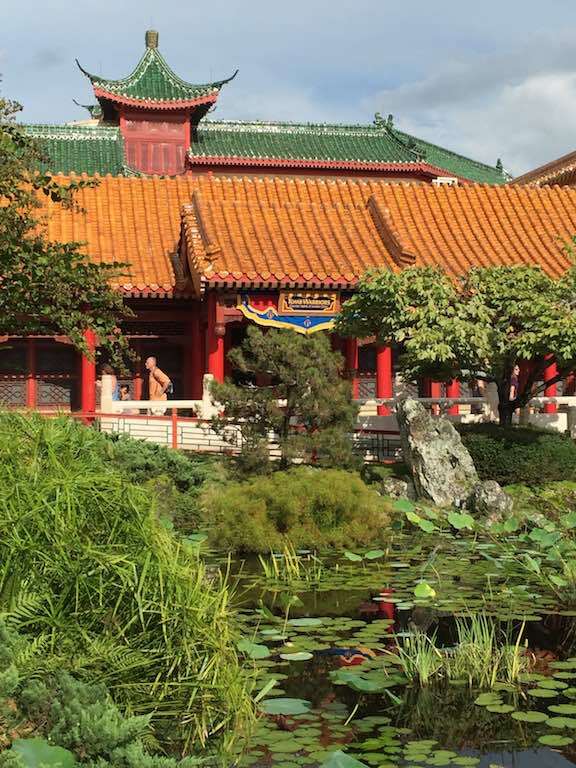 The most noticeable thing about the China pavilion is the colour, particularly after the fairly muted colour tones of Norway. 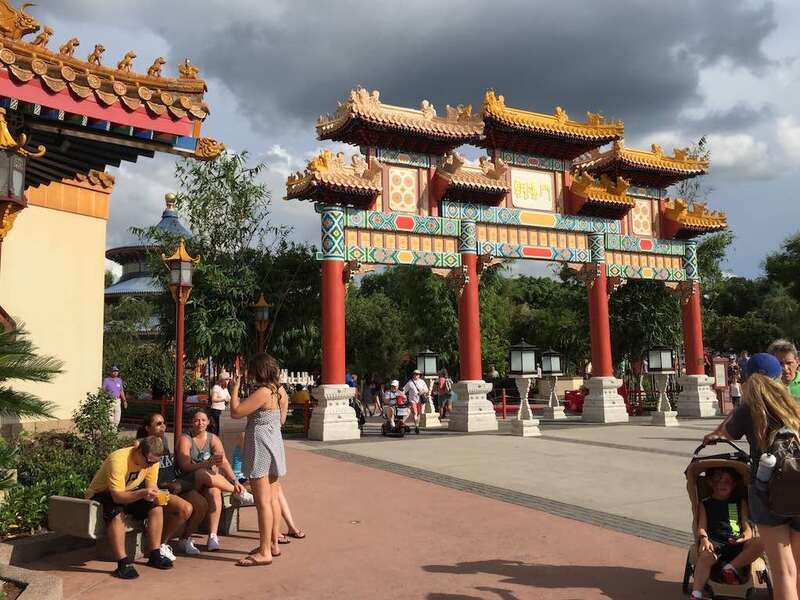 Entrance to the China pavilion is through the enormous Chinese gate. 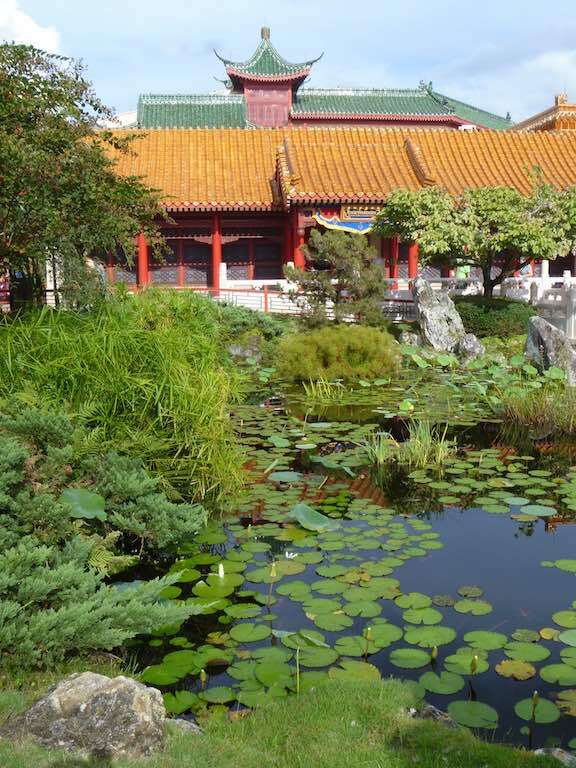 Immediately in front of you is a replica of the Temple of Heaven which houses a 360 degree movie about China, circa 1980 and also some cultural displays. 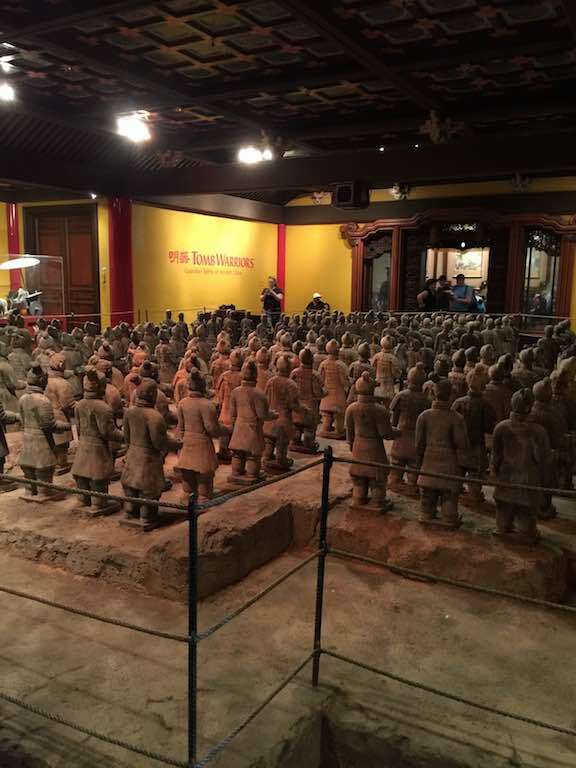 The current display is scale models of some of the buried army terra cotta warriors. The originals date from 225B.C. There are a couple of dining options here in China. The sit down restaurant Nine Dragons is not rated highly from what I have heard. 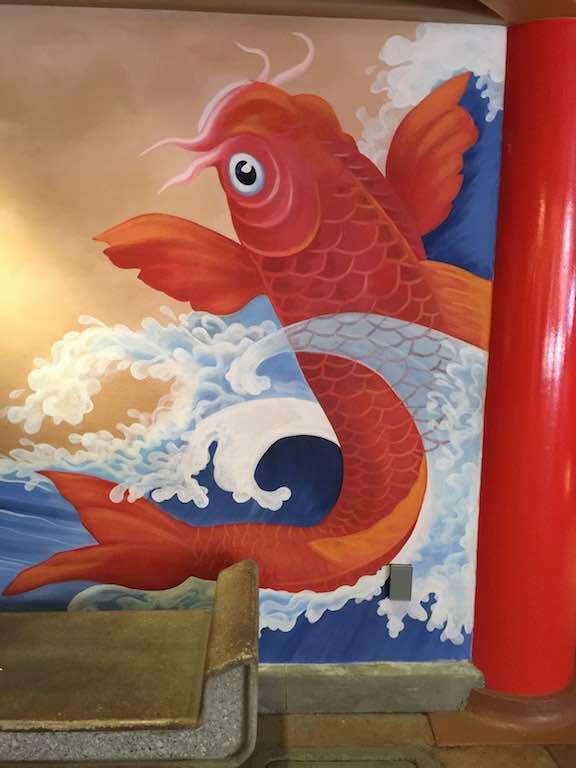 I can’t speak personally as I haven’t dined here, but show me a city that doesn’t have a good Chinese restaurant. Which is likely why its rated poorly as most can compare it to something “local” – which is likely why it’s not popular with the repeat visitors. 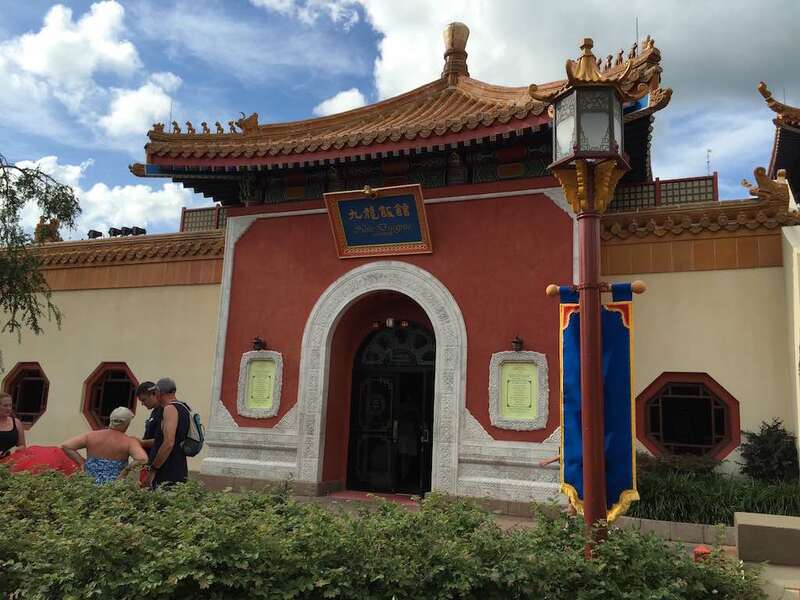 There is also a counter service restaurant serving fast American style Chinese food called Lotus Blossom Cafe. My understanding is that there currently isn’t a single vegetarian meal on the menu – which is pretty bloody poor, but not unfortunately unusual. You would think that with all the amazing regional cuisines in China that they could come up with an amazing vegetarian option? 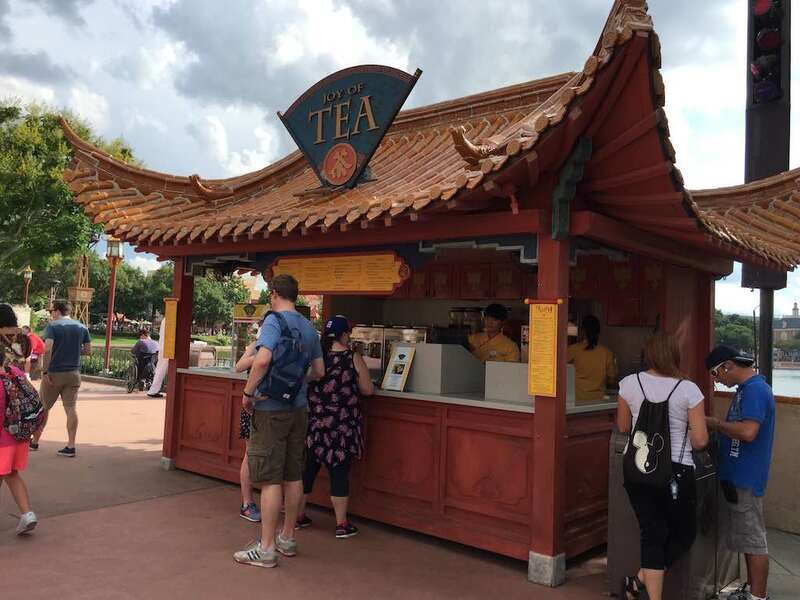 Handy hint Disney, take a look at the Hong Kong Disneyland vegetarian items – they had many fantastic choices! 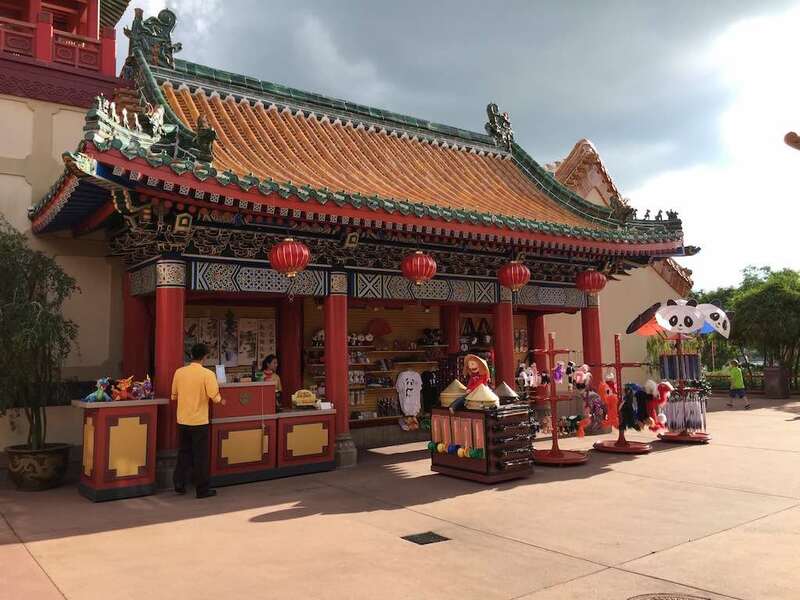 Most of the rest of the pavilion is taken up by … shopping. And lets face it, don’t we all need to fill our homes with souvenirs from China? 😉 I’ll be showing the shopping options in a post within the next few days. Oh and if you hang around long enough, the Chinese acrobats are worth a watch, they are pretty amazing! I remember that we were underwhelmed with China. Like your tour we went clockwise so after Mexico and Norway both with a ride the children were disappointed to find shops and gardens. 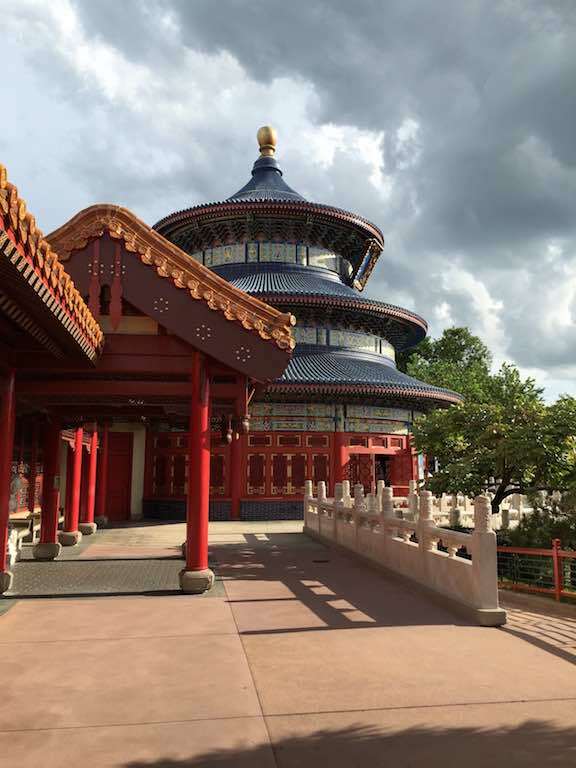 I don’t have any real desire to return to the Florida parks but I would like to go back to World Showcase. 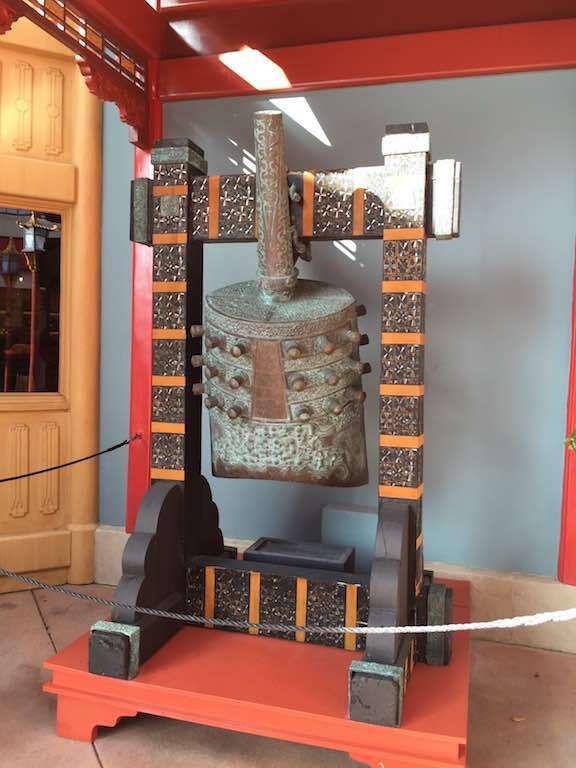 I love the photos especially the huge bell, but I must be the only person in the world who doesn’t know. 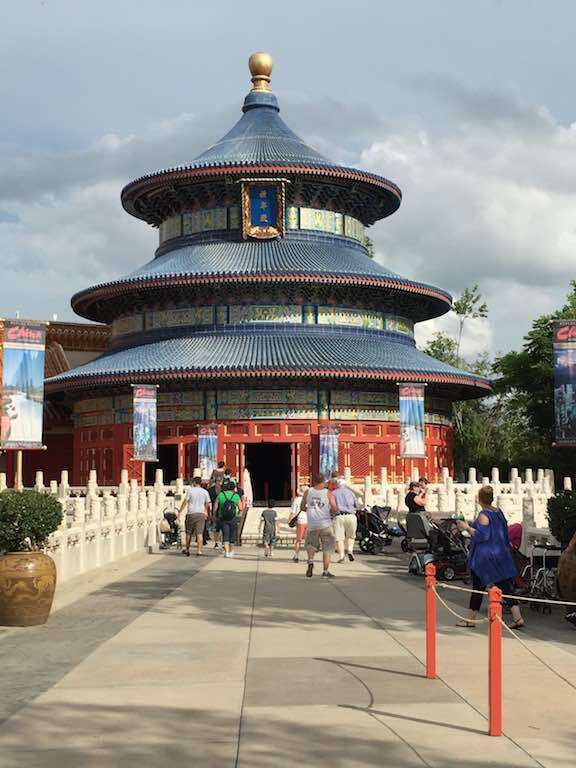 What is Epcot? We spent more time at Norway, Mexico, Canada and France. I wondered what China was like so thanks for the details.